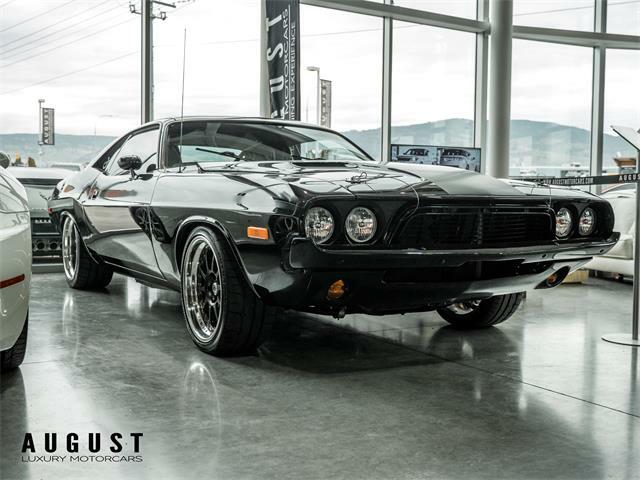 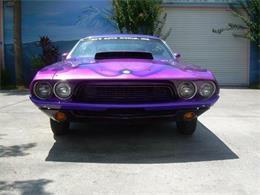 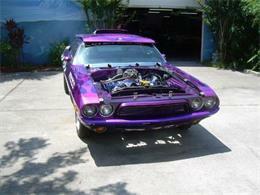 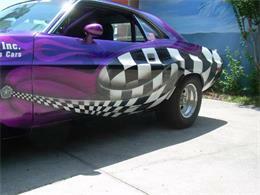 1973 Dodge Challenger, Ready for the Street or Strip. 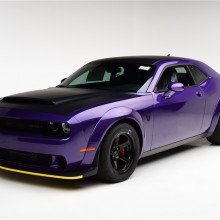 This is the first time we've offered this particular vehicle for sale. It's been used for over the last twelve years as an advertising tool for the company, P.J. 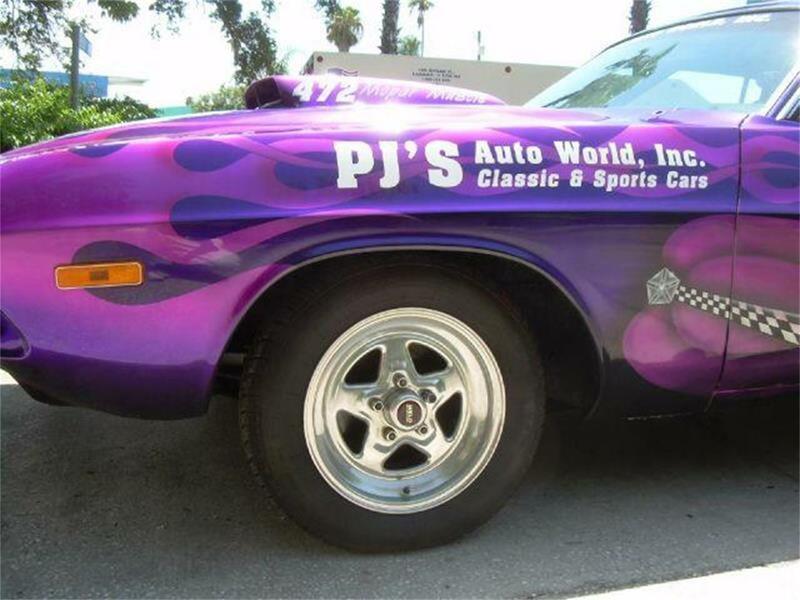 's Auto World Inc. With an amazing paint scheme this car gathers attention wherever it appears, all lettering is vinyl decals which can be easily removed for the street or to carry new logos advertising a sponsor or your own business. 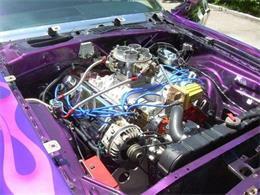 It's just received a new 472 CI Hemi (trailered) with zero miles or passes on the car since it's installation. 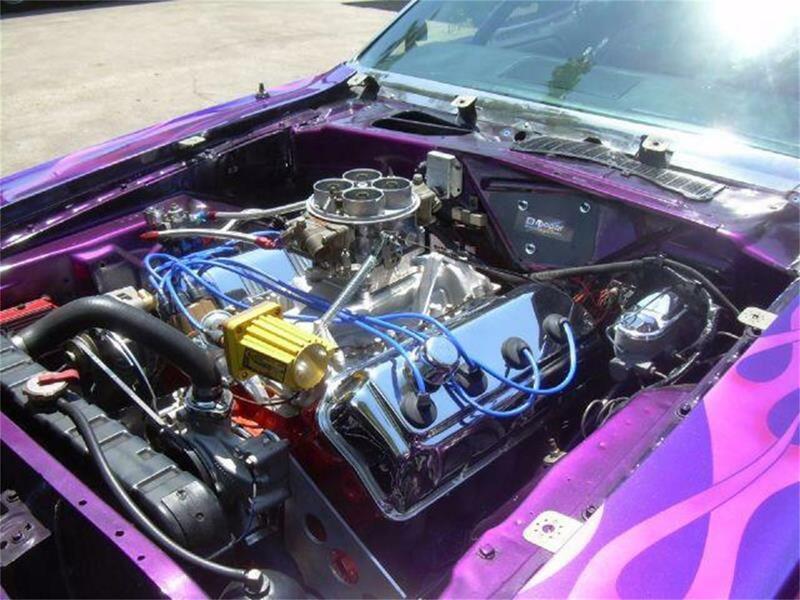 This is a crate HEMI with an aluminum single four barrel intake and Holley 1050 Dominator carb, custom big tube headers, a MSD6AL ignition, an Accel Super coil and solid motor plates to hold everything in place. 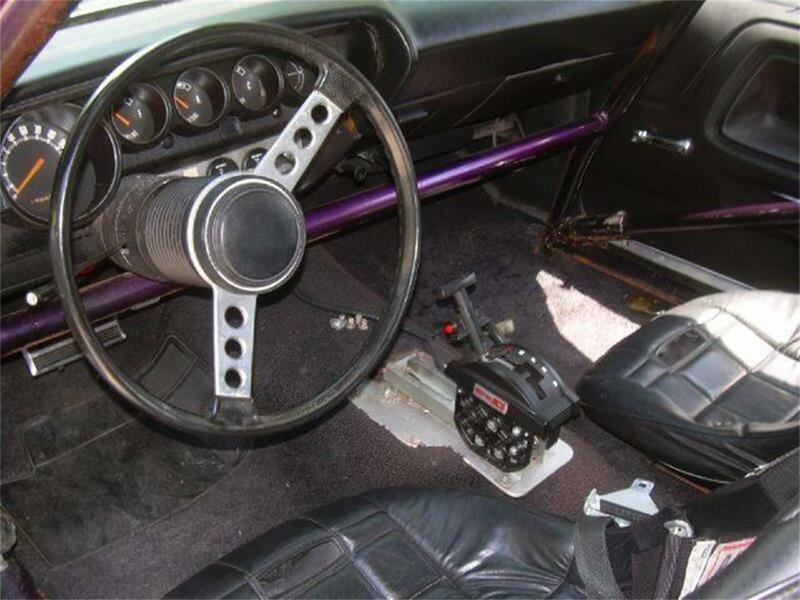 The Hemi is backed by a reworked 727 transmission with a hi-stall converter, reversed valve body coupled to a Cheetah shifter. 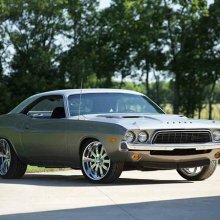 The rear end is an 8 and 3/4 with 4.56:1 gear set, the suspension retains it's stock appearance with the addition of both a pinion snubber and traction bars. 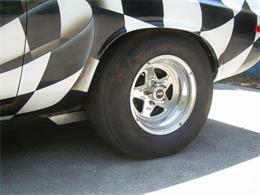 The car has not been cut up (mini tubbed) and retains it's original inner fenders. It has received fitted frame connectors and a drive line hoop to insure additional control and safety to the car. 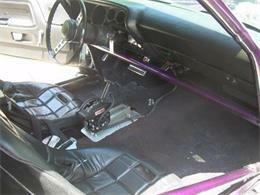 The interior is basically stock with racing seats, a big faced Auto-meter tach and shift light, aux gauges and Line-Loc. The interior has a six point cage with swing away side bars. 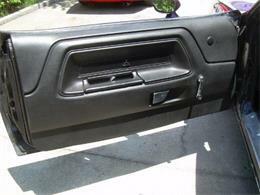 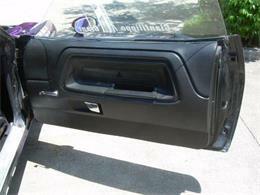 The trunk holds a fuel cell along with the heavy duty battery and remote battery shut off switch. 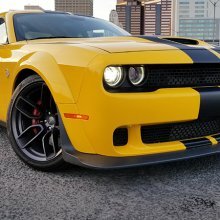 The Challenger rolls on a set of Weld ProStar mags, "pie cutter" styled front rims with 165R15's while the rear has a reversed rim carrying M/T ET Drag tires in 28.0/10.5/15's. 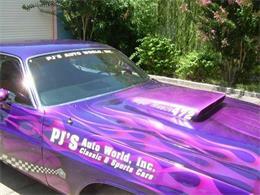 The car retains a full rear seat, lights and turn signals making it ready to cruise. 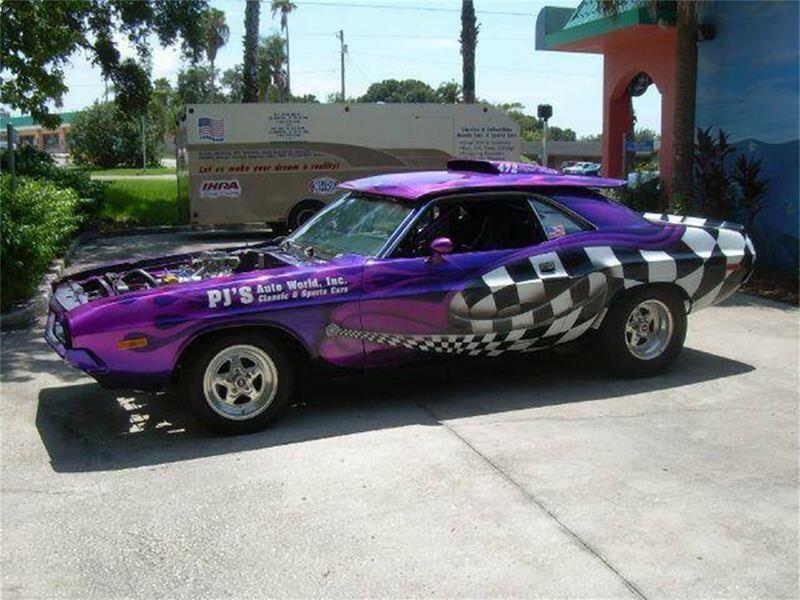 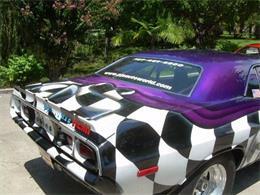 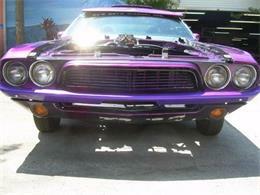 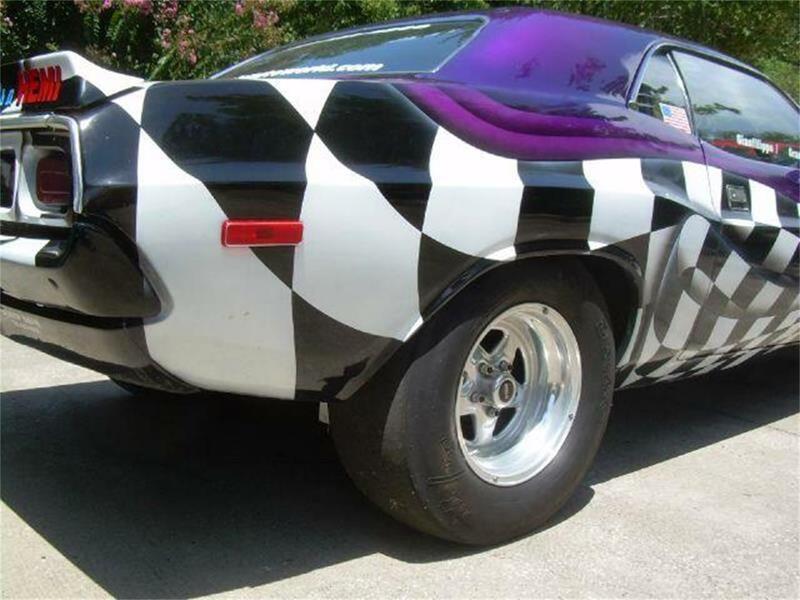 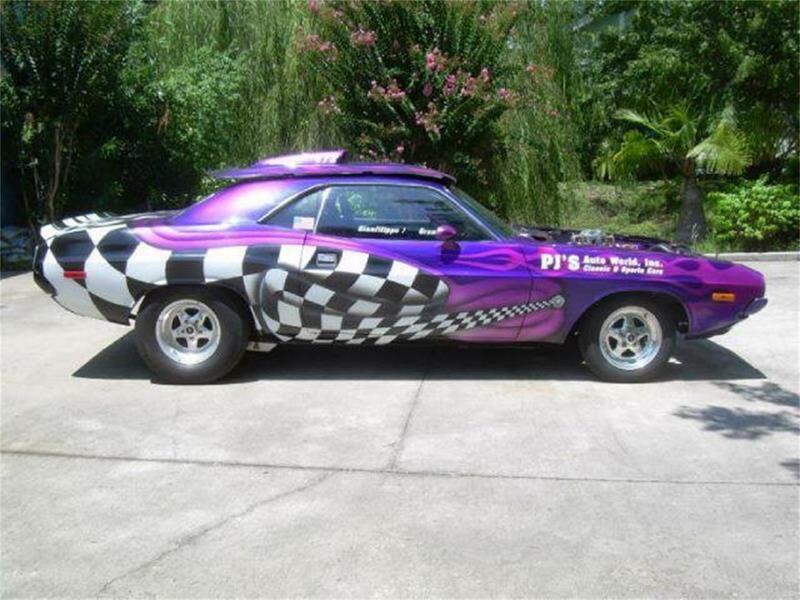 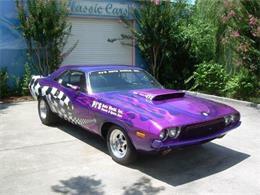 Again Mopar enthusiasts, Drag Racers, those looking for a great Pro Touring styled car this could be your ride. 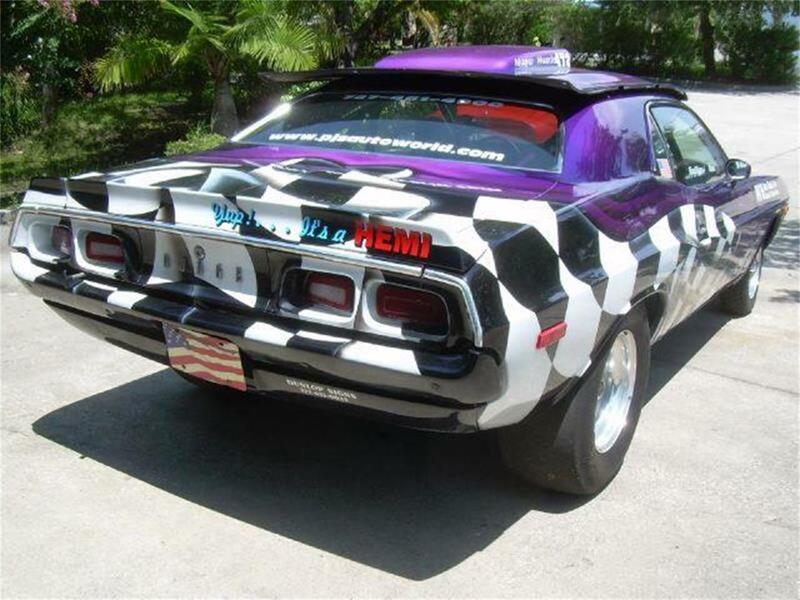 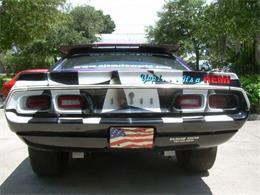 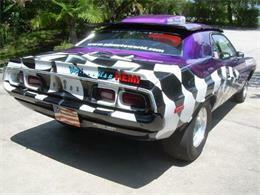 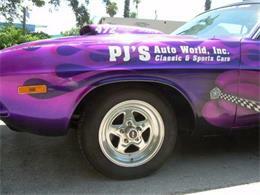 A mobile billboard advertising your business as well as having a great 70's Muscle Car! 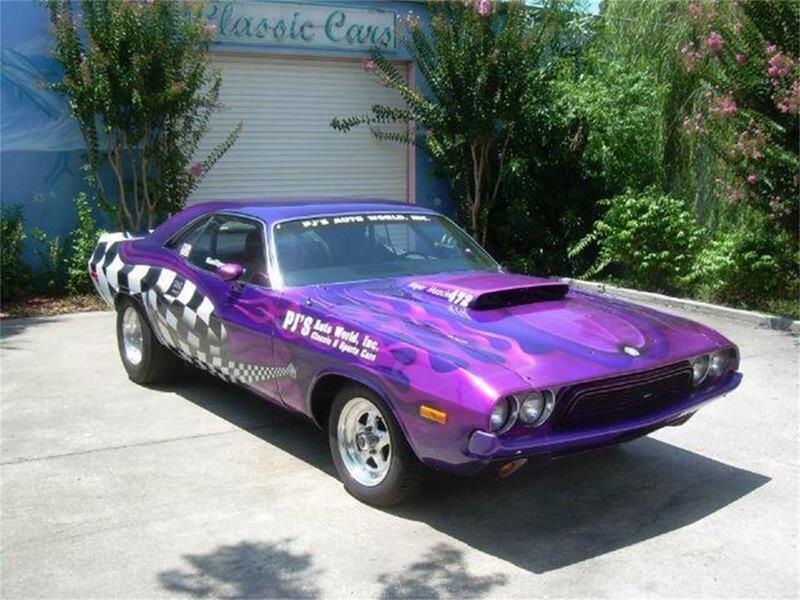 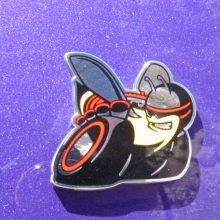 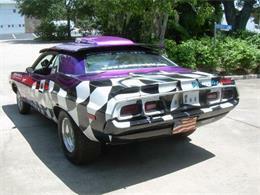 For more particulars on this unique Challenger please ask for Bill the General Manager who is very familiar and drives the car for P.J. 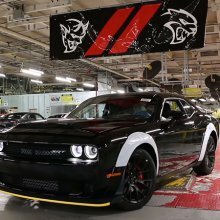 's Auto World. 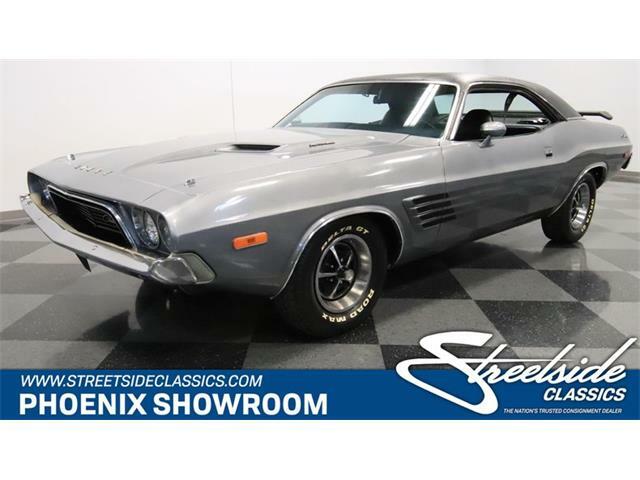 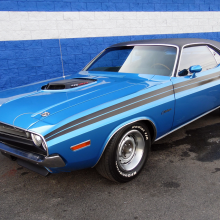 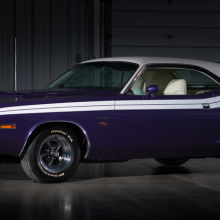 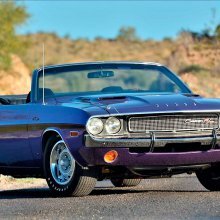 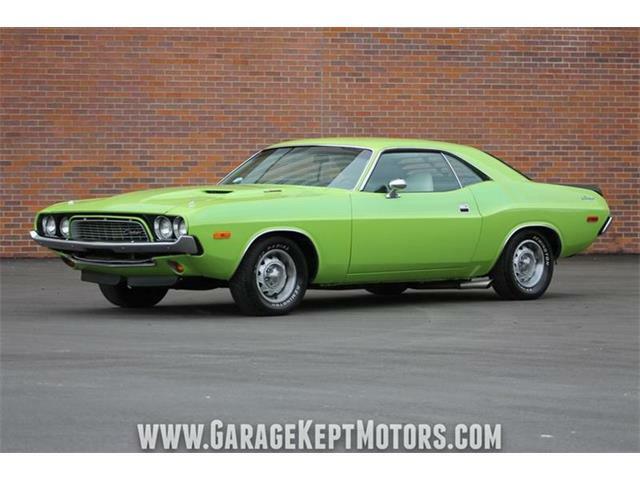 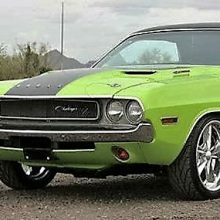 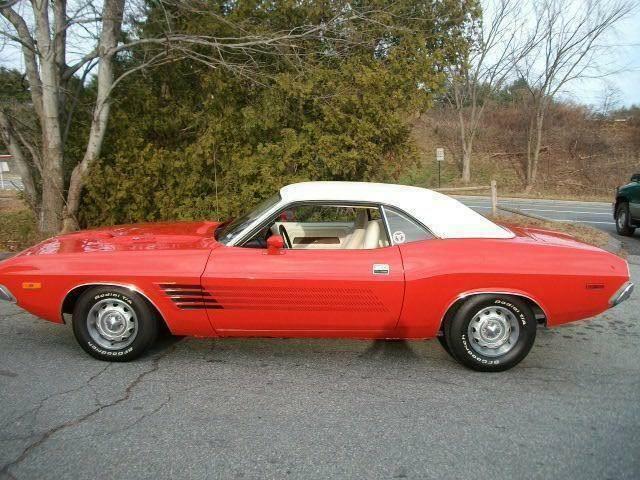 Hi, I'm interested in your 1973 Dodge Challenger listed for sale on ClassicCars.com for $59,900.00.